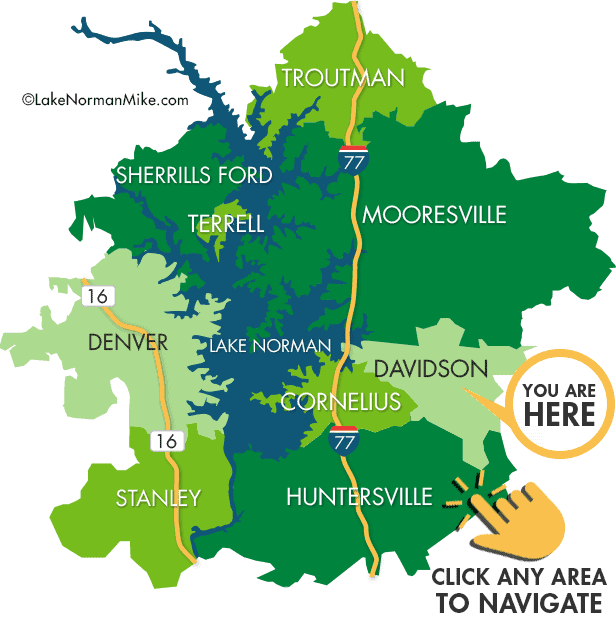 Ranked #1 in NC for livability by areavibes.com. Ranked #1 Safest City in NC by Safewise in 2015. Ranked #1 in NC for livability by areavibes.com. Located 20 miles north of Charlotte, Davidson still maintains the small-town character and values that make it so unique. Pedestrian and bicycle friendly, Davidson boasts over 13 miles of greenways and bike lanes and in September of 2011 was given official recognition as a Walk Friendly Community. In 2013, Davidson won the North Carolina Chapter of the American Planning Association’s “Great Main Street” Award. Walking down the Main you will find quaint shops in turn-of-the-century buildings offering clothing, books, gifts and antiques. Stop by the coffeehouse or enjoy one of the many restaurants. Add a vibrant business district, a calendar of community events, and a Saturday Famers Market and you have Southern charm at its best. Davidson College played a strategic role in the birth of this town. Founded by the Presbyterian Church, the college opened its doors in 1837. A rural area with farms and plantations, businesses were first on land leased by the college. In 1879, the town incorporated as Davidson College and in 1891 the town’s name was changed to Davidson. By the early 1900’s, the college was the largest business and remained a vital element to the town, providing the first water and electricity systems to its citizens. Between 1929 and 1935, and in keeping with a small town atmosphere, the police department expanded to four people! Got kids? Davidson has parks, playgrounds, greenways and various programs through the Department of Parks & Recreation. Encouraging biking and walking to school, the kids will love events like Town Day, Concerts on the Green, the Fourth of July parade, Halloween March, and Christmas in Davidson. So whether it’s shopping, eating, walking, biking or just enjoying the parks and greenways, Davidson has something for everyone.